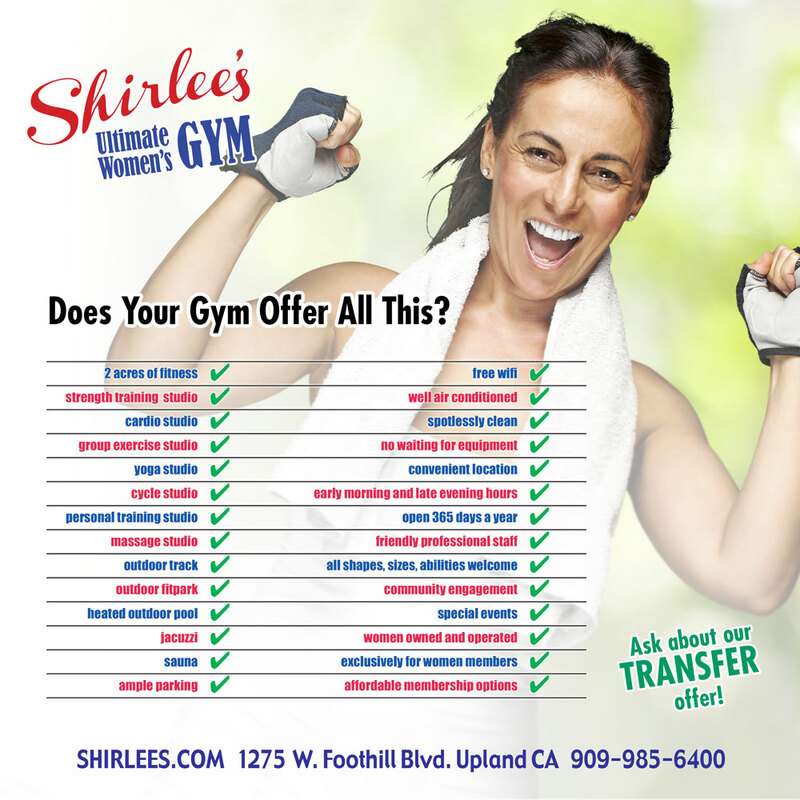 If you belong to another gym in the Inland Valley, but are not satisfied, we invite you to consider Shirlee’s Ultimate Women’s Gym in Upland. Check out all we offer and compare. We think you will find that Shirlee’s offers a great value for your fitness dollars. We invite you to stop by the club for a tour and a free pass. If you have any questions, please call (909) 985-6400. Don’t forget to ask the manager about our TRANSFER discount! We offer special savings when you trade in your old gym membership card for a Shirlee’s membership card.